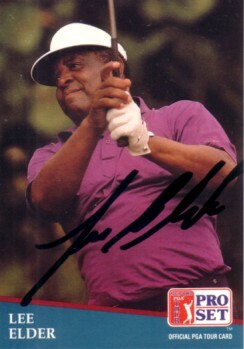 1991 Pro Set golf card autographed in black marker by former PGA Tour star Lee Elder, the first African-American to play in The Masters. ONLY ONE LEFT. With certificate of authenticity from AutographsForSale.com.